Ginger-the humble rhizome that is believed to have been first used in the Indian subcontinent millenniums ago-is extensively used for spicing up a range of food preparations. This herbaceous perennial spice also touted to have numerous health benefits, has long been used as a folk medicine. Ayurveda and traditional Chinese medicine are replete with different formulations of this rhizome that can help in dealing with various ailments. And it is reassuring to hear that medical science is corroborating the curative properties of this herbal spice. You might be aware that ginger is extremely effective in tackling common cold and flu, promote digestion, and reduce muscle pain or soreness. But did you know that the spice is highly effective in dealing with motion sickness that results from voyaging on the sea, flying long hours, and driving for hours on mountainous or elevated routes? Apart from seasickness or airsickness, the herb can be used for remedying bloating, headaches or pain caused due to PMS. Significantly enough, you can either use zests sliced from raw ginger or the powdery form for boosting your health. Surprisingly enough, you won’t have to consume large amounts of the spices for realizing the perks as imbibing simply 2gms (equivalent to a ¾ teaspoon in powdered form or 1 tablespoon in grated form) every day will suffice. Following are 7 convincing reasons why you should start chewing or consuming this pungent-tasting herb or spice. Dietitian Danielle Capalino who authored books such as ‘Flat Stomach’ and ‘Healthy Gut’ is strong of the opinion that ginger could go a long way in tackling inflammation and alleviating arthritic pain, especially in arthritis patients. She has found evidence for the above benefits as powerful anti-inflammatory agents called ‘gingerols’ found naturally in the herb can thwart the development of cytokines that are known to aggravate inflammation. If a medical report (issued in Arthritis & Rheumatology) or study is to be believed, extracts of the spice had the potential of assuaging osteoarthritis symptoms in the knees. Perhaps there’s not a single person in this whole wide world who never was under the weather owing to common cold or had an attack of flu. And this rhizome is one of the best natural substances that have been used for tackling this upper respiratory tract infection for a long time. The sesquiterpenes in the herb are efficient in thwarting the thriving of rhinovirus (the virus responsible for causing the common cold). Throw 3-4 slices of ginger in your morning or evening tea if you want quick relief from nasal congestion. 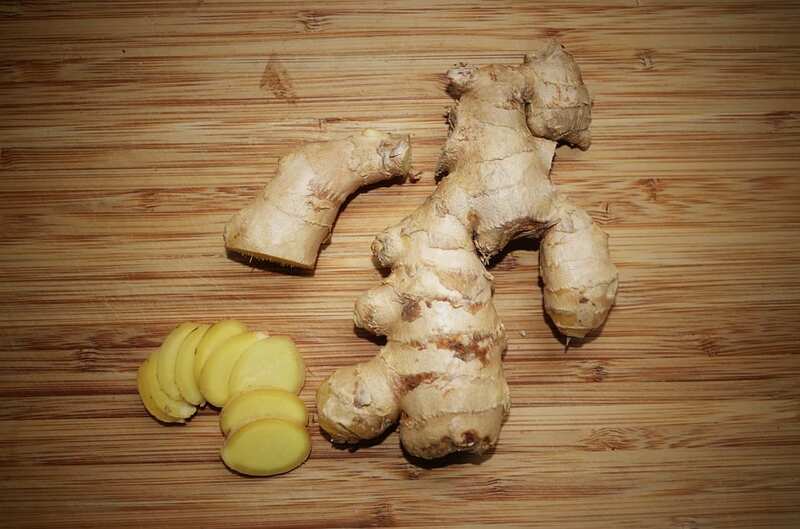 Loaded with antioxidants, ginger helps check pain and symptoms of fever. During your next trip to the gym, be sure to keep finely trimmed tests of the herb under your tongue. Studies and trials have increasingly evidenced that the spice which helped ease PMS pain and checked inflammation, could also soothe muscles that feel sore after a strenuous workout. According to a trial issued in the ‘Journal of Pain’, participants that imbibed two grams of the herb felt a noticeable alleviation in muscle soreness and pain resulting from strength building workouts just a day after vis-à-vis a placebo. Perhaps the most worthwhile health benefit that women and teenaged females can have from consuming the spice is relief from pain that predominates a menstrual cycle. As a matter of fact, it has been demonstrated that ginger is as effective as OTC medications in getting respite from PMS pain. In a study appearing in the ‘Journal of Alternative and Complementary Medicine’, it was reported that taking the herb was as good as swallowing an ibuprofen pill for dealing with the pain. Ginger not only reduces and checks nausea but also boosts digestion and prevents the abdomen from getting bloated or distended. The herb contains carminative agents that expedite the secretion of gastric juices for promoting digestion. This wonder herb can be highly effective in bulwarking or cushion your brain from dementia and Alzheimer’s. The spice shields your brain from the sticky amyloid proteins that form a plaque thereby prolonging or putting off the disease progression. Ginger plays a stellar role in thwarting the buildup of prostaglandin that is known to increase swelling of blood vessels giving you head-splitting migraines. Going by one study, the powdery form of the spice was equally efficient as sumatriptan for dealing with migraines.